CloudReady is the only performance monitoring solution that combines the power of synthetic and network path performance monitoring with crowd-sourced data analytics to enable you to detect and isolate problems anywhere between your users and the cloud apps and services they depend on. Whether it’s a major public web site like Bloomberg or GitHub, or your own corporate extranet, you have to stay on top of issues that affect the sites your users depend on. CloudReady web and network performance monitoring makes it easy for you to track the performance and availability of virtually any internal or external website or server. You users can’t access what they can’t find. But monitoring and troublshooting DNS can be a challenge due to its distribution and caching characteristics. CloudReady makes is easy to monitor multiple DNS entries – for both your sites and external services – from all locations where your users access them. Propagation: Continuous monitoring from multiple locations identifies consistency & propagation issues. Configuration: Synthetic tests from your network detect DNS, network and client configuration problems. Security: Detect and isolate potential DNS security breaches in real time. CloudReady keeps an eye on the internal and external servers that are critical to your users. Unlike manual command line ping tests, CloudReady continuously monitors your target servers, giving you real-time alarms was well as historical trend and cross-site comparison analysis. Server availability: Is the destination server online and connected to the network? Round trip network performance: Is the connection from your locations to the server healthy? Multi-server comparison: Are response times from multiple servers in a farm consistent? For some sites and services you often only need to monitor the availability and responsiveness at the application network layer (HTTP) without needing to perform detailed page rendering performance diagnostics. CloudReady WGet Sensors allow you to compare HTTP page delivery timings across multiple servers in a single view. This is useful in evaluating relative performance across a farm of web servers as well as being able to compare web page access times across your different locations. Web server availability: Get alerts for errors and session timeouts. 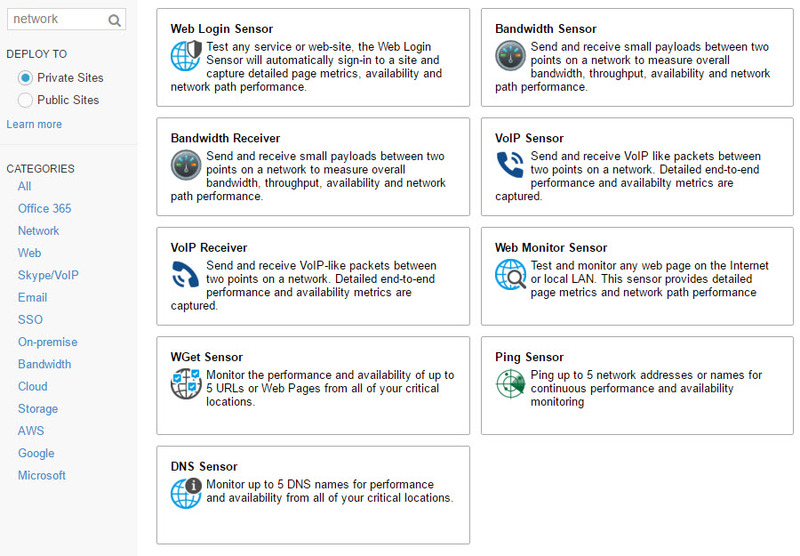 Page delivery response time: Compare server responses across servers and access locations. Historical trend analysis: See impacts of server and network changes on response times.